JIMMY D. CAHOON passed away peacefully in the Cardston, Alberta Hospital surrounded by family and his loving wife on Wednesday, March 14th, 2018 at the age of 87. He was predeceased by his father Lloyd D., his mother Laura, brothers George and Bryce and son Jimmy Richard. He is survived by his wife Kathleen and his children Debbie (Joseph) Cherrington, Patti (Lorry) Pitcher, Cheri (Darcy) Kerr, Mark (Karen) Cahoon, Brent (Cathy) Cahoon, Shauna (Earl) Jarman, and 33 grandchildren and 55 great-grandchildren. Jim attended University in Logan, Utah as well as in Provo, Utah at BYU. Jim enjoyed fishing, hunting, and hiking in the outdoors. He worked with his brothers at Cahoon Lumber and later began the ranch life working with cattle and all livestock but he especially loved riding horses. Some of his cherished memories were working at the Birdseye Ranch and riding into the Belly River lakes. He was especially good at woodworking and he worked at many of the LDS chapels in Southern Alberta but what held a great importance in his life was being able to do woodwork in the Cardston, Alberta Temple during the renovation in the 1990s. He was a faithful member of the Church of Jesus Christ of Latter-day Saints. He served a full time mission in Samoa, served as a Scout Master, Bishopric Counselor, High Councilor, and taught Temple Preparation for many years, and was able to serve as a Temple Officiator. Anything to do with the Temple was very special to his heart. 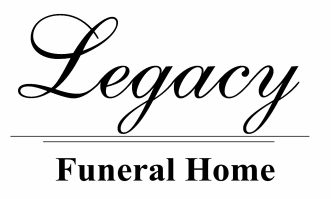 Friends may meet the family on Monday, March 19th, 2018 at the Legacy Funeral Home in Cardston from 7:00 to 8:00 pm or at the church on Tuesday from 10:00 to 10:45 am prior to the service. ​The Funeral Service will be held at The Church of Jesus Christ of Latter-day Saints, Cardston Alberta Stake Center (338-5 Ave E), in Cardston, AB on Tuesday, March 20th, 2018 at 11:00 a.m. Interment to follow in the Cardston Cemetery.